Today’s main news: BlockFi hits $25M in deposits in 2 weeks. Cash-back ETF injects trouble into ETF market. PeerStreet expands product line. Funding Circle fund higher impairments drag returns. Dianrong blames Chinese regime for troubles. Today’s main analysis: New home equity loans do not significantly alter credit scores. Today’s thought-provoking articles: SoFi Money review. Can Citi, JPMorgan beat fintech personal loans? Revolut tests the limits of finance. Top 7 lending startups in 2019. Vietnam is SE Asia’s fintech hub. BlockFi hits $25 million in deposits within 2 weeks. Crypto lending is beginning to become a major force in alternative lending. BlockFi is one of the leaders. SoFi Money review. Nerdwallet takes a look at SoFi Money. Can Citi, JPMorgan compete with fintechs on personal loans? Fintechs had 36% of the personal loan market in 2017. Can big banks make a comeback? I think their efforts in doing so are going to make this a much more competitive market. Can alternative lenders continue to grow with streamlined processes and leaner teams? New home equity loans do not significantly alter credit scores. Another great LendingTree study. Cash-back ETF causes stir in the ETF market. PR stunt or not, Salt Financial has upped the game. PeerStreet expands product line with residential for rent loans. There are millions of dollars in student loans left on the table because people abandon their FAFSA forms. Online lenders still seek Madden fix. State of digital engagement for online lenders. X Financial’s Q4 results take stock 5% higher. Why corporates can’t fund early pay programs. ZestFinance using artificial intelligence in mortgage lending. White Oak Healthcare Finance launches real estate investment vehicle with new hires. Banks seek help from Congress to block industrial charters for online lenders. Figure Technologies expands leadership team. LendPro hires VP of sales. Funding Circle fund sees higher impairments drag returns. Revolut is testing the limits of finance. OakNorth reports 33.9 million GBP in profit. IFISA guide for SME loans. Specialist lender funding will be a key issue in 2019. Peachy criticized for email campaign to sell food shortage fears amid Brexit concerns. Why investors are leaving stock market for P2P lending. Top 20 UK places for high net worth individuals. Dianrong blames government for its troubles. KKR raising first Asia real estate fund. Southeast Asia: Top 7 lending startups in 2019. Southeast Asia is poised to see explosive growth in online lending. Germany: Bitbond, BitGo partner on security token offering. Malaysia: TurnKey Lender opens in Kuala Lumpur. Singapore: Travelstop showcases business travel management platform. India: Banking and financial services are one of top sectors that need upskilling. India: RentoMojo gets funding from Renaud Laplanche. Singapore: Golden Gate Ventures partners with Hanwha to invest in tech startups. BlockFi Lending LLC, a New York-based “secured non-bank lender” that provides cryptocurrency-backed loans in USD to digital asset investors, has revealed that its interest-generating deposit accounts have received over $25 million in cryptocurrency. 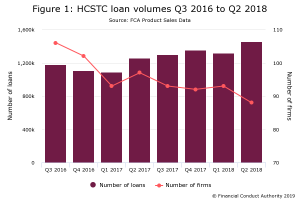 The personal loan market has grown rapidly since 2010 and the growth has been driven by FinTechs. But banks like Chase and Citi are now hitting back at FinTechs with their own personal loan offerings. Citigroup launched a new consumer loan product and a new high-yielding savings-account as part of its digital bank. The Citi Flex Loan will allow select existing Citi credit card customers to convert part of their credit lines to a loan with a fixed APR. JP Morgan launched “My Chase Plan” and “My Chase Loans” – a point-of-sale financing alternative and a personal loan product respectively – that will be offered to its existing credit card customers. Last week, one ETF upstart created a minor splash by doing what was once unthinkable — offering to pay investors to buy into its exchange-traded fund. That comes on the heels of eight fund providers — including JPMorgan Chase, Vanguard and BlackRock to name a few — all slashing fees in one of the industry’s most aggressive rounds of price cuts to date. The sub-zero fee giveaway by Salt Financial, which previously ran a single $11 million ETF, is widely seen as a marketing gimmick to drum up a little PR, get customers in the door and increase its assets under management. During the first year, investors will receive 50 cents for every $1,000 in a new low-volatility stock ETF — until it grows to $100 million. After a year, a management fee of 0.29 percent, or $2.90 per $1,000, could kick in. An 8-year-old class action that wreaked havoc on the online lending industry is finally winding down, but the lobbying push in Washington to undo its impact shows no signs of abating. Lawyers in the case have filed a proposed settlement that would provide $9.8 million in cash and debt relief to as many as 58,000 consumers, setting up the final chapter in a lawsuit that is likely to be remembered best for the legal precedent it established. The stock of X Financial (NYSE: XYF) jumped more than 5 percent Tuesday morning, to $6.55 per American depositary share, after the peer-to-peer lending marketplace announced improved revenue and profit for the fourth quarter, as well as a dividend for 2018. The Shenzhen-based company, which connects borrowers and investors on its platform, reported in a statement Monday evening that its revenue grew 18 percent year-over-year to $125.5 million during the three months through December. Its net income, X Financial said, was $35.2 million, or 22 cents per share, at a 53 percent increase from the same period of 2017. If you look at the graph below, 5% of S&P 500 companies hold more than half the overall cash; the other 95% of corporations have cash-to-debt levels that are the lowest in data going back to 2004, according to Wells Fargo research. We know who those 5% are — they are the GAFA companies: Google, Amazon, Facebook and Apple. CoreLogic, a global property information, analytics and data-enabled solutions provider, today announced PanoramIQ™, an intelligent property solution that delivers a more complete view of property data with more current and reliable sources than public-record data alone. Utilizing a combination of public and proprietary property datasets, a unique property ID, machine learning and advanced analytics, PanoramIQ provides lenders, mortgage industry professionals and government entities with deeper, more accurate and complete property insights, allowing clients to make better decisions in a timely and efficient manner. White Oak Healthcare Finance, LLC announced it will broaden its product offering and enter the healthcare real estate investment market. White Oak hired Jeff Erhardt, Paul Nevala, Mike Treiber and John Brussard to build out the vehicle, which will initially invest up to $500MM and will focus on investments in seniors housing and skilled nursing properties using triple net leases and joint-venture RIDEA structures. Debt Securities. We may offer debt securities, which may be secured or unsecured, senior, senior subordinated or subordinated, may be guaranteed by our subsidiaries, and may be convertible into shares of our common stock. We may issue debt securities separately or together with, upon conversion of or in exchange for other securities. It is likely that any debt securities issued will not be issued under an indenture. Figure Technologies, Inc., a fintech company in both the home equity and blockchain space, announces that John Sweeney has joined the company as the head of Wealth and Asset Management, along with Dr. Michael Dooley, who joined as chief economist. These hires reflect Figure’s commitment to empowering consumers and building out products to improve their financial well-being. LendPro LLC, a provider of Lending-as-a-Service (LaaS) products and platforms for retailers, has hired retail industry veteran Belinda Kelton as its Vice President of Sales, the company announced today. Kelton is the latest of many new hires for the fast-growing fintech company, which recently moved to a new location to accommodate new staff members and provide the best service possible to customers. Affirm is looking for a business-minded Corporate Counsel, Commercial with broad expertise in complex commercial transactions. This role will report to Affirm’s Associate General Counsel. Storonsky is getting a taste of the scrutiny that lies ahead as he tries to upend the world of banking with Revolut, his 3-1/2 year-old startup. The U.K.’s financial regulator is examining why the digital bank last summer temporarily turned off a system designed to automatically block suspicious transactions. It was valued at $1.7 billion at its last fundraising and now has over 4 million customers after new accounts tripled in 2018. That’s about three times more than the two lenders combined and the same number of customers as foreign-exchange business TransferWise, which is four years older. Ablrate’s IFISA offers returns ranging between 10 and 15 per cent, enabling investors to fund asset-backed loans to UK businesses. ArchOver’s IFISA enables investors to fund secured business loans and enjoy tax-free returns of up to 10 per cent per year. MoneyThing’s IFISA is one of the highest-paying tax wrappers that invests in secured business loans, offering annual returns of up to 13 per cent. Returns vary depending on the account, going from 4.1 per cent to 6.25 per cent on its auto-invest products, and up to 15.5 per cent with its manual lending option. The minimum investment in this flexible IFISA is £1,000. The Growth and Income ISAs automatically spread investors’ money across a range of loans and have variable target rates of six per cent and 5.6 per cent, respectively. Nearly two fifths of the UK’s top earners now live in London, according to research from peer to peer lending platform easyMoney. Dianrong, one of China’s biggest peer-to-peer (P2P) lenders, is laying off staff and shutting stores. The company blamed the Chinese regime for its troubles and said the absence of clear-cut policies was proving to be a heavy burden. Dianrong shut down 60 of its 90 offline stores and laid off an estimated 2,000 employees, Reuters reported in early March. Pintec Technology Holdings Ltd. (Nasdaq: PT) gained 15 cents in trading by midday after reporting a slight increase in revenue and narrowed losses for the fourth quarter. The Beijing-based tech platform facilitating financial services said on Wednesday that its revenue in the three months through December was $32.9 million, 2 percent higher year-over-year. Its net loss was $1.2 million, a 10 percent decrease from the same period of 2017. Loss per share was 1 cent. For the full year, Pintec reported revenue of $153.1 million, 85 percent higher from the preceding 12 months, and profit of $1.1 million in contrast to a loss in 2017. Alternative investors are increasingly drawn to Asian hedge funds and distressed strategies, according to the latest Alternative Investment Survey from Deutsche Bank. The 2019 survey canvassed the views of 425 asset allocators running $1.7 trillion of hedge fund assets in 28 countries. Bitbond has launched Germany’s first Security Token Offering with a BaFin approved Prospectus and will be using BitGo’s Business Wallet. The STO has a hard cap of EUR 100 million (~USD 113 million) and will conclude in May. Thousands of investors have already joined to take advantage of early bird discounts. Bengaluru-based client leasing startup RentoMojo has raised $10 Mn serial B funding from Bain Capital Ventures and Renaud Laplanche. As of 2019, there are still 2.45 billion underbanked and unbanked people in the world. The more innovative lending companies there are, the faster this market will be covered and served. October.eu (formerly Lendix) is an innovative, easy-to-use, and intuitive peer-to-peer platform for lending and investing. The Dharma team works on a platform that lets businesses build lending products on the Ethereum blockchain. The governing idea of Kabbage is that funding shouldn’t be complicated for businesses. So, the company makes an effort to provide entrepreneurs with up to US$250,000 in loans for which you can allegedly qualify for in just 10 minutes or at most, a day. Founded in 2014, TurnKey Lender has already become the market’s leading intelligent all-in-one lending automation platform. The name SoFi comes from social finance and it’s another great example of a successful peer-to-peer lending operation. Founded in 2011, the company is already a huge market player with US$30 billion worth of funded loans and 600 thousand members. Affirm goes a different route than most alternative lenders. The idea behind it is enabling in-house financing for retail businesses. So, the store’s customers get an instant loan with zero to 30 per cent interest rates. With quite a unique approach, Lendio offers small business an opportunity to get services and credit products from lenders with the best conditions. It’s a marketplace with more than 75 lenders on board. Vietnam currently has 54 percent of its population on the internet and the number is expected to grow further in the coming years. Data from Vietnam Briefing shows that 39,580 start-ups entered the Vietnamese market in just the first four months of 2017, a 14 percent increase from the first quarter of 2016. Within the start-up scene, the fintech sector has become the most attractive for investments, receiving US$129 million in 2016. Asia has the largest share of mobile internet traffic, with 61% of its population using mobile devices to go online. After online stores, Indonesia’s leading digital payments platform Ovo has been making strides into offline stores, increasing the number of merchants that accept the payment method. OVO has reportedly acquired local peer-to-peer lending company Taralite, a move that will pave the way for OVO to branch out into the lending business which is seen to be a potential profit-generator for the company. With internet penetration at 85.7% in 2018, the country is perfectly positioned for the rapid growth of alternative lending initiatives in areas like peer-to-peer lending and in-house financing.